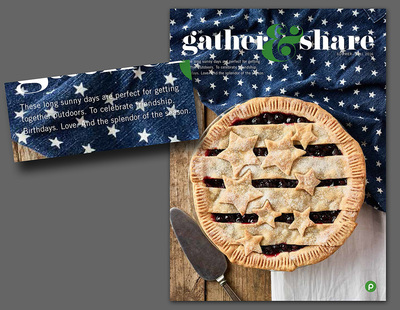 Publix’s Gather & Share is a cross between a magazine, a brochure, and a catalogue of platters and prepared dishes. 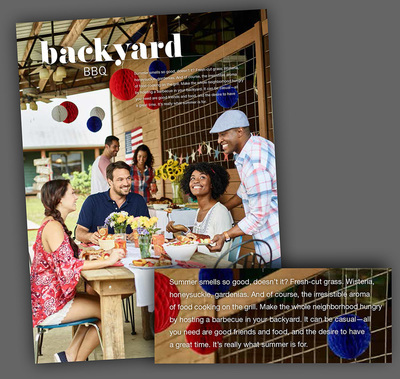 It contains recipes, tips, and seasonal inspiration for entertaining. 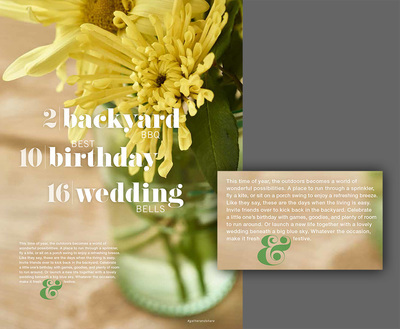 Here a is a taste of an issue I worked on recently.